Let’s say you have a certain passion for something—a cause. This cause, of course, has an organization associated with it. You follow this organization on Facebook, Twitter, Pinterest, etc. You really enjoy keeping up with the news and happenings occurring around the organization. You are also a subscriber to their emailed newsletter. You did this even though you already receive a lot of emails. Turns out, you greatly look forward to reading their newsletters. A few times, you have even commented on their Facebook posts and have retweeted some of the organization’s shares. To your surprise and great pleasure, the organization has engaged back with you, and they have thanked you for your help in spreading the word. I hope you would agree with me that if this were your situation, that you would be deep down in the marketing funnel of this imaginary organization. After all, time is precious, and you wouldn’t have followed them on the social media platforms, and you certainly wouldn’t have subscribed to their newsletter, if you weren’t very interested. Now, wouldn’t you expect this organization to try to convert you into a paying member or donor? Of course you would. They will probably try to get you to go to their website from time to time, to consume their content and, hopefully, sign up as a member. Guess what? Chances are, if this is a smart organization, their website’s signup form is easy to use—nobody you have to call, no hassles of asking for your phone number for them to call you, not a long, complicated process—just a simple, pay online, signup form. No friction. And what about those emails they are sending you? Don’t you think the organization will have a call to action (CTA) for you to join or donate? Of course they will. The link probably takes you to the website’s signup form. Or maybe one of their people will call you to ask you to join. All of this is just good business, right? They have nurtured you from being a stranger (provided you content), to being a friend (engaged with you online), to being an email subscriber (a deeply interested prospect). The next step is for you to be a customer, to convert. Now think about this scenario as it relates to your Chamber. Does your Chamber have people eagerly following it on the social media? You do if you are proving valuable content. Do people visit your Chamber’s website? Your website should use a large “Join Now” button, not a little link. The process of signing up should take just a few short minutes. Way too many Chambers have complicated and long signup forms—picture filling out 20 fields on your smartphone—yuck. Question for you: What are you doing to move people through your marketing funnel and then actively convert those people into members? You are, hopefully, doing great work at the top of the funnel—providing content and creating awareness. You are also doing great work in the middle of the funnel—building relationships, establishing the all-important know-like-trust factor through engagement and email communications. 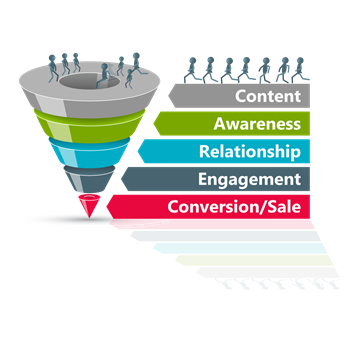 What are you doing at the bottom of the funnel where conversion happens? 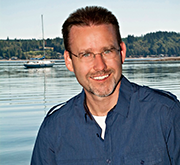 Are you creating too much friction? Or worse, failing to ask for the sale?